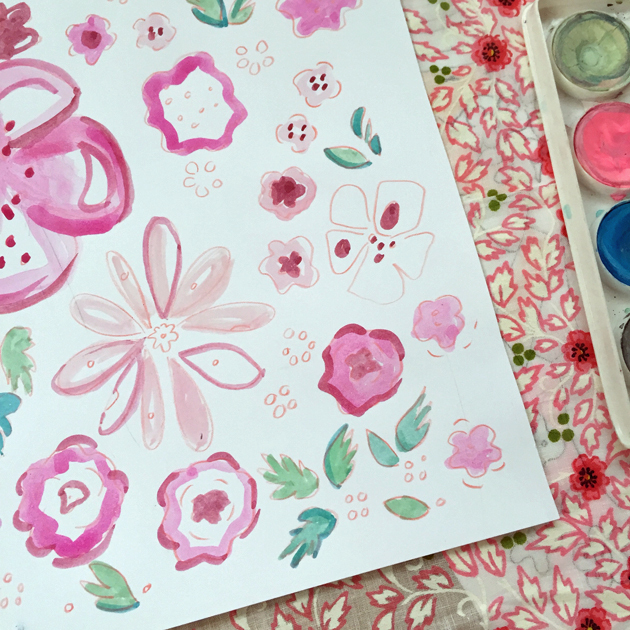 One of my favorite activities to do every morning is to paint free form watercolor flowers just to put me in a joyful mood! I have an extensive collection of vintage linens which always serve as inspiration. 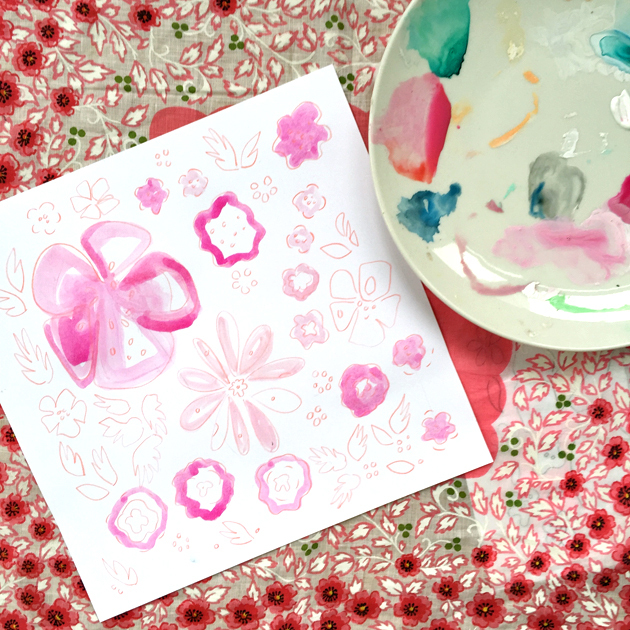 Today I’ve create a tutorial inspired by a favorite hankie! 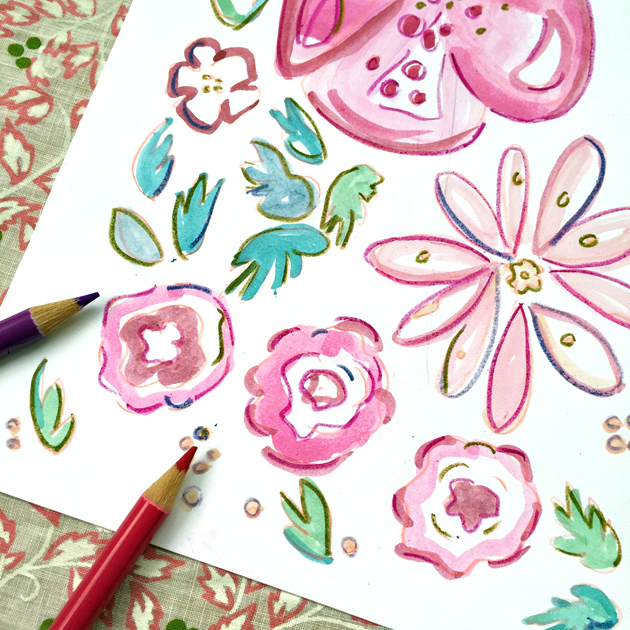 I absolutely love the bold floral prints of the 50’s…..Let’s begin! 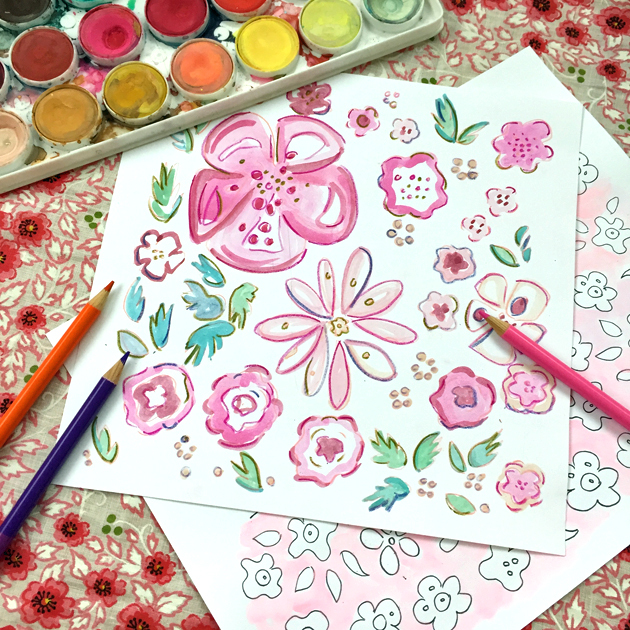 Step 2: With light flesh or pink colored watercolor pencils begin loosely drawing shapes inspired by the leaves and flowers in your chosen textile. 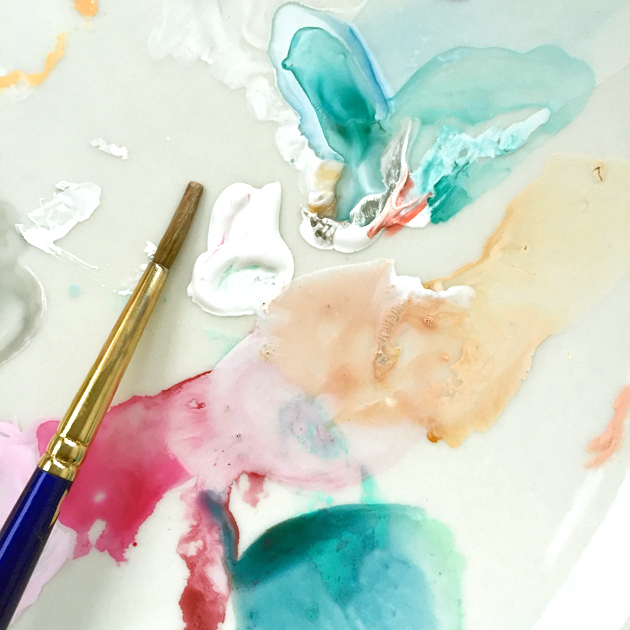 Step 3: Start mixing some colors on your palette. Be very experimental! 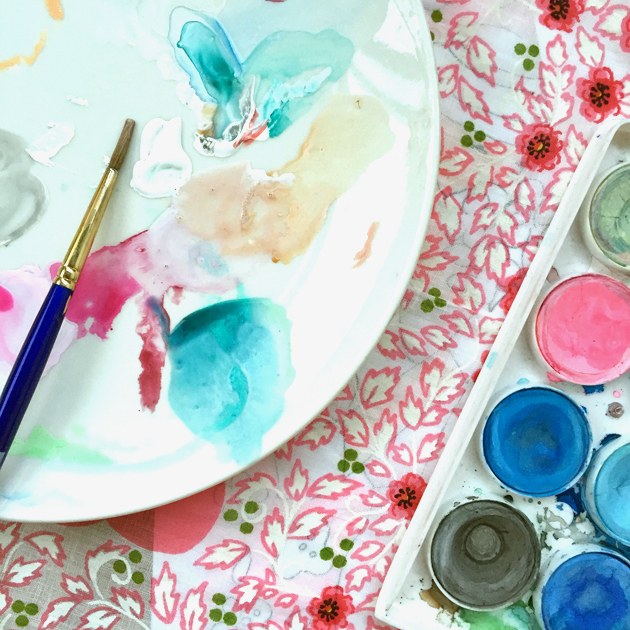 Add a little yellow or orange to your pinks, greys to your greens, and include a hint of opaque white for washed out hues….. 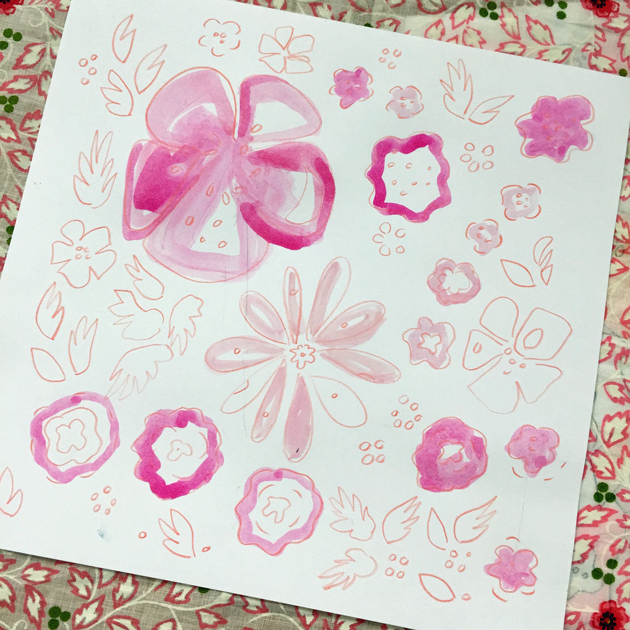 Step 4: Lay down light washes of pink…fill some flowers in and outline others…..don’t overthink it! 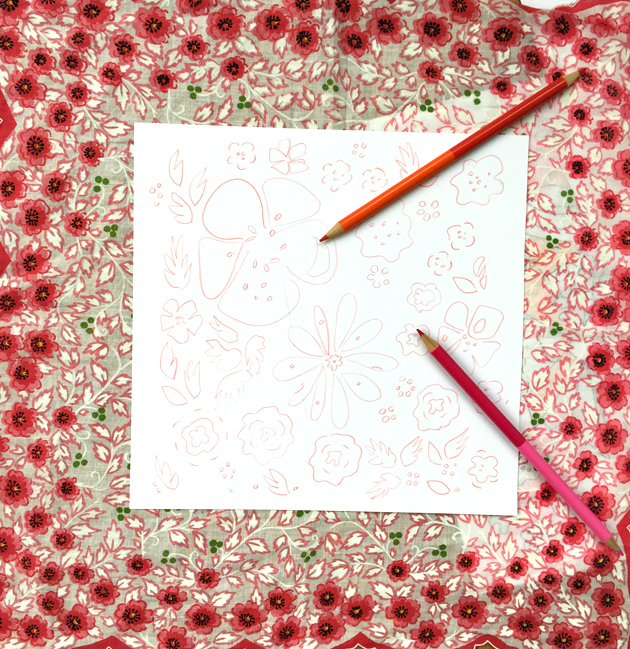 Step 5: Add leaves….try some blue ones! There are lots of blue leaves in nature…. 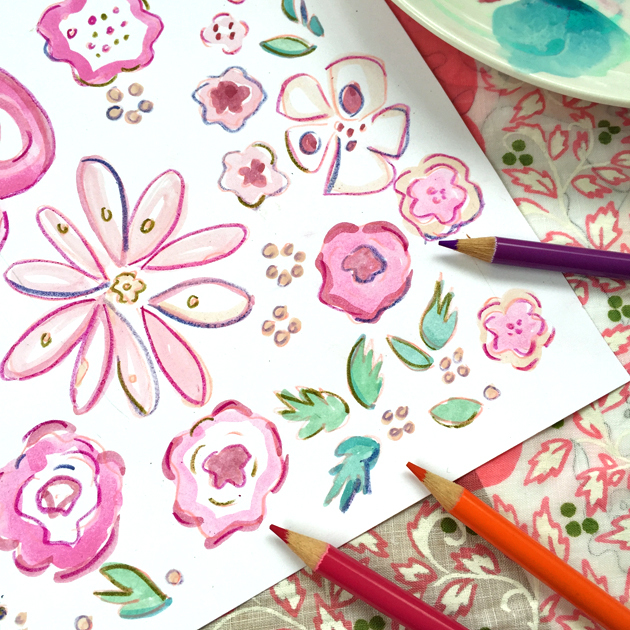 Step 6: Add details with bold pencils in rich reds, purples and blues….Outline pink flowers with green and green leaves with pink! 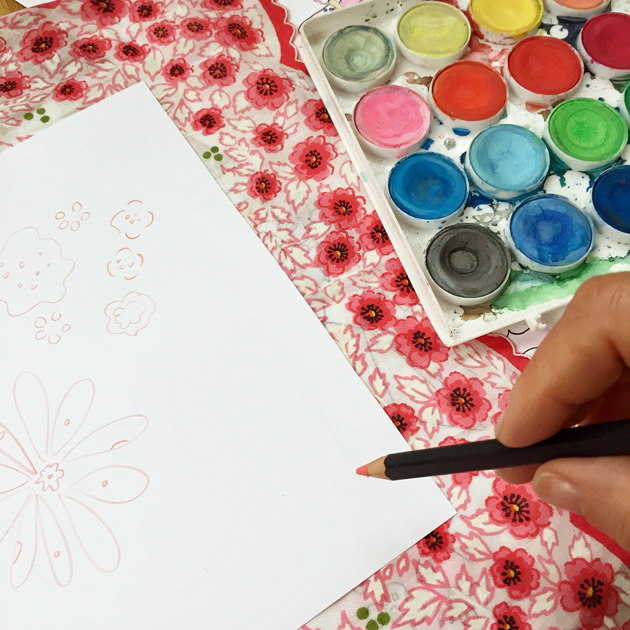 Step 7: Step back from your work and smile….